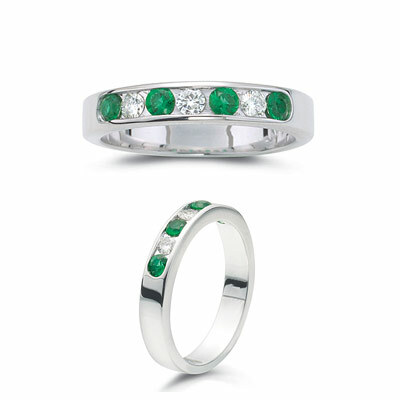 0.40 Cts Diamond & Natural Emerald Stackable Band in 14K White Gold . This is a beautiful channel set diamond and Natural Emerald stackable band. Three round diamonds weigh approximately 0.15 Carats and four emeralds weigh approximately 0.25 Carats. The band is 14K White Gold.